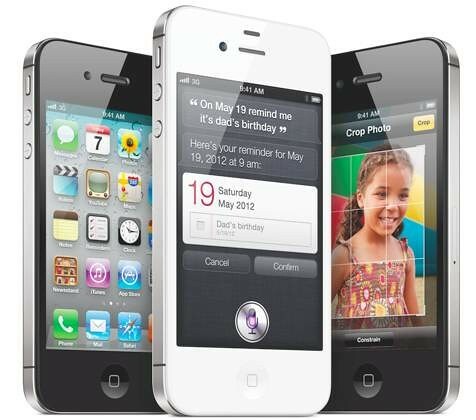 As Apple announced this morning one million iPhone 4S pre-orders in just 24 hours and some customers began receiving shipping notifications, someone out there already has the handset in their hands and they have a video to prove it (via MacRumors). The interesting bit is the Siri section in Settings which lets you choose between activating Siri by holding down the home button or simply raising your handset to your ear, which 9to5Mac indicated back in August. This feature isn’t simply activated via the iPhone’s proximity sensor sensing your ear (like the Google app for iOS), but also taps motion sensors for accuracy as well. Other Siri options in the Settings interface include language choices (English, French and German at launch, Apple promised more to come at a later stage), Voice Feedback, My Info and enabling/disabling Siri system-wide. According to early benchmarks, Apple wasn’t lying describing iPhone 4S as “twice as fast”. The handset scores 2222.1 milliseconds in the SunSpider benchmark and 89567 in the BrowserMark benchmark. This compares to a BrowserMark score of 44856 on an iPhone 4 with iOS 5. Is Siri coming to your television?